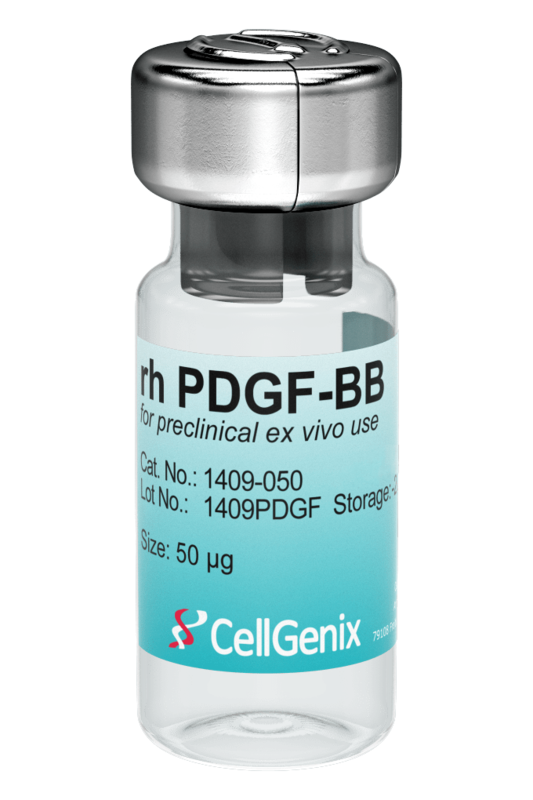 CellGenix Recombinant Human PDGF-BB reliably supports proliferation of mesenchymal stem cells (MSCs) and chondrocytes. 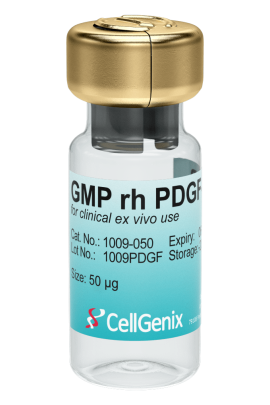 CellGenix rh PDGF-BB is produced in our dedicated animal-free facility ensuring maximum safety for optimal use in ATMP manufacturing. Platelet-derived growth factor-BB (PDGF-BB) is a member of the platelet-derived growth factor family. It is produced by platelets and plays an important role in angiogenesis.  PDGF-BB is used in the cell and gene therapy space for the expansion of bone marrow and adipose tissue derived MSCs and Chondroctyes. 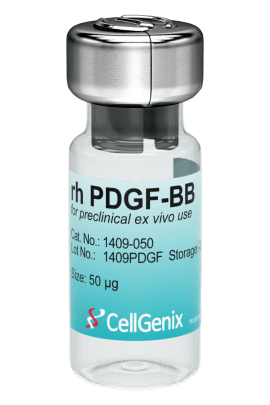 CellGenix GMP Recombinant Human PDGF-BB is produced following all applicable GMP guidelines and allows for the safe use in accordance with USP Chapter <1043> and Ph. Eur. General Chapter 5.2.12. 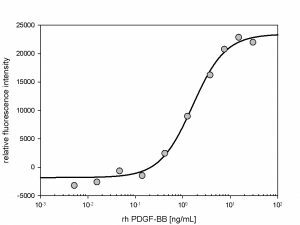 The activity of GMP rh PDGF-BB was measured in a cell proliferation assay using the PDGF-BB-dependent cell line Balb/3T3. 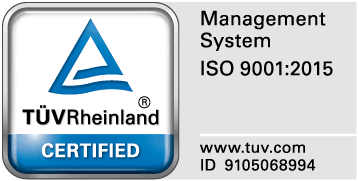 It was calibrated against the NIBSC #94/728.